Any information, opinions or medical advice shown on Glutathione Information page is for information purpose only and not intended as medical advice. I cannot guarantee the accuracy or the efficacy and safety of the information being given. I do not dispense medical advice or prescribe the use of or the discontinuance of any medication, as a form of treatment without the advice of an attending physician/health care practitioner, either directly or indirectly. The information contained on this page is not intended as a replacement for sound medical advice from a physician/health care practitioner. On the contrary, sharing of the information contained on this Glutathione page with attending physician/health care practitioner is highly desirable. Application of information and recommendations described herein are undertaken at the individual’s own risk. The adoption of information should be in strict compliance with one’s physician/health care practitioner. Very sick persons with past history of major disease and under professional supervision, particularly those with severe renal disease, should not make use of the information contained herein without the supervision of their attending physician/health care professional. Marilyn Vine as an Independent LifeWave distributor (655296) would like to make it clear that LifeWave the Company does not endorse any of the information contained on this page. The above being understood and accepted then Marilyn Vine would like to share with you some of the exciting information that she receives. Did you know that glutathione is regarded as the “Master Antioxidant” and is the most powerful antioxidant that our own bodies make? As we age the production decreases. Marilyn Vine has discovered a way in which our own body can send a signal to make more of this naturally occurring component without ingesting anything. My understanding is that if you take a supplement in the form of a tablet that it will increase your levels to around 15% over a period of a month. By using a patch which is non transdermal (nothing passing through the skin) in only one day it is understood that the body’s production may increase by 2-300%. Please click on this link to read the research. Then watch this doctor speak on the importance of it being inside your cells. Bookmark this Glutathione Information page to see new information as it comes to hand. Physical Aging Process – Could glutathione be the answer? “If there were such a thing as a nutrient that “does it all”, G. would have to be a top contender for the number one spot. G. is a powerful antioxidant that prevents damage to important cellular components, repairs and protects the body from harmful toxins and other dangers we encounter in our polluted environment. Briefly, G. (GSH) is a tripeptide comprised of three amino acids, cysteine, glutamic acid (ionic salt from glutamate), and glycine. All three of these amino acids are considered to be non-essential, meaning our body synthesizes them. 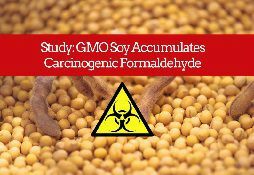 GreenMedia on 15 July 2015 advises of a new study on genetically modified soy. “The study, led by Dr. V.A. Shiva Ayyadurai, Ph.D., an MIT-trained systems biologist, utilizes his latest invention, CytoSolve, a 21st century systems biology method to integrate 6,497 in vitro and in vivo laboratory experiments, from 184 scientific institutions, across 23 countries, to discover the accumulation of formaldehyde, a known carcinogen, and a dramatic depletion of glutathione, an anti-oxidant necessary for cellular detoxification, in GMO soy, indicating that formaldehyde and glutathione are likely critical criteria for distinguishing the GMO from its non-GMO counterpart. NaturalNews on 21 March 2014 provides new insights into glutathione and over-rides earlier beliefs with regards to supplementation. This articles goes on to advise how antioxidants come to the rescue and usher out those free radicals. Click this link and learn more. The glutathione that I personally use comes in the form of a non-transdermal patch and has the ability to encourage my body to make up to 300% more glutathione. The most important aspect of the body making its own glutathione is that it ends up inside the cell where it is needed. Many of the supplements in the market place put the glutathione on the outside of the cell and the body is unable to utilize it or at least utilize it to its full advantage. So click this link to learn more about the LifeWave Glutathione Patch that I use or contact me at marilyn@expandingabundance.com. I love to share good health information! These products are available in 100 countries in the world! “It protects every single one of your 50 to 75 trillion cells, including your brain. This article covers different ways of obtaining glutathione including using non-transdermal LifeWave patches. If you would like information on these patches please contact me at marilyn@expandingabundance.com. On 22 April 2011 we have Suzanne Somers the well known author speaking about the importance of detoxifying our bodies and the important role that glutathione plays in this detoxification process. Eating nutritionally, i.e. fresh, and organic where possible. Avoiding irradiated foods, genetically modified foods, pre-packaged foods, using microwaves – all of which provide you with “dead” food containing no nutritional value. You might as well eat cardboard! Using good quality natural supplementation of vitamins and minerals and avoiding supplements made with SYNTHETICS as many of these synthetic supplements can cause harm rather than help your health! Being selective with the products you put on your body, clean your house with in an attempt to avoid the chemical toxic overload that most of these products provide! Being VERY selective with the quality of water you are ingesting, i.e. avoiding fluoridated water which brings other chemicals with it such as cadmium, mercury, arsenic and lead and chlorinated water where possible. The purer your water – then the better off you are! Many people are very dehydrated and should partake of the water cure to overcome this problem. If you would like more information on any of these comments please contact me in the email form at the bottom of the page. We are now hearing about radiation being found in US Milk (NaturalNews on 31 March 2011) and also information on research which shows that antioxidants can prevent damage to the body from radiation and hence my Glutathione Information page. LifeWave’s Glutathione patch is a powerful stimulant to promote the body in producing more of this master antioxidant. Today more than ever people should be doing something to protect themselves against free radical damage and in particular radiation damage. By clicking this link you can read about the product including testimonials. You have the ability to join the company to purchase the products. My LifeWave ID is Marilyn Vine 655296 or you can just order the Glutathione Patch. In the meantime click this link to learn more about the radiation disaster in Japan. This article is from Prevent Disease and could not be more correct! This article is a very important one as it outlines a great deal of information and its importance and is well worth the read if you are interested in maintaining your health. Herein lies the beauty of the patch. It is not taken as a supplement but it acts as a stimulant to the body’s own mechanism to produce more of this powerful antioxidant and therefore the production stimulated by the body is inside the cell walls instead of on the outside. When I do a detox –this master antioxidant is an essential part of this detoxification process. As long as the body is well hydrated and you are using the patches, heavy metals will be released from cells and passed through your urine. “This is your body’s most powerful antioxidant and has even been called “the master antioxidant. It is a tripeptide found inside every single cell in your body. f when you have read Dr Mercola’s article you would like information on a non transdermal patch which stimulates the body to make its own supply of this master antioxidant and also assists in the body’s detoxification process then please contact me with the email form below. Using this tripeptide in an injectable form only has a 20-30% absorption rate. This is normally being used for skin lightening and wrinkle repair of the face. Tablets – 5-23% absorption – stomach acid dissolves the production. Would you like to try the LifeWave patch? Then email me at marilyn@expandingabundance.com and I can provide information on how you can purchase the product at either retail or wholesale. Some people will think that they are not very toxic because of the lifestyle they pursue. But unfortunately even the air we breathe and the water we drink help to make us toxic and sometimes even the personal care products that we use. Some of these personal care products have nasty ingredients in them which pass through the skin and into the organs of the body and do damage. For information on skin care products that you might like to try click on this link. Please watch the YouTube below to see the importance of selecting the right fruit and vegetables to eat to help minimise your risks of pesticides and toxins in your food and then below this is a list of the most toxic and least toxic fruit and vegetables you can choose. Then click on this link for the EWG Fruit and Vegetable Guide. If you would like information on a detoxification process that is as easy as wearing patches for five days taking a break for two days and repeating twice more, then please contact me at healthymoneyvine@gmail.com. How can we get more of it? Why are so many chronically ill people deficient in this powerful tripeptide? How come your doctor doesn’t know anything about it when there are 76,000? This tripeptide is a life giving molecule and a master detoxifier. Our body produces its own source and as we age our production of this important molecule diminishes. Dr Hyman has found that people with chronic illnesses such as Alzheimer’s, asthma, Parkinson’s disease and many other debilitating diseases are actually deficient in this important molecule. The most deficient people are those found in hospitals, people who are chronically ill.
To learn more about this amazing molecule email me at healthymoneyvine@gmail.com and request information on Y-Age.